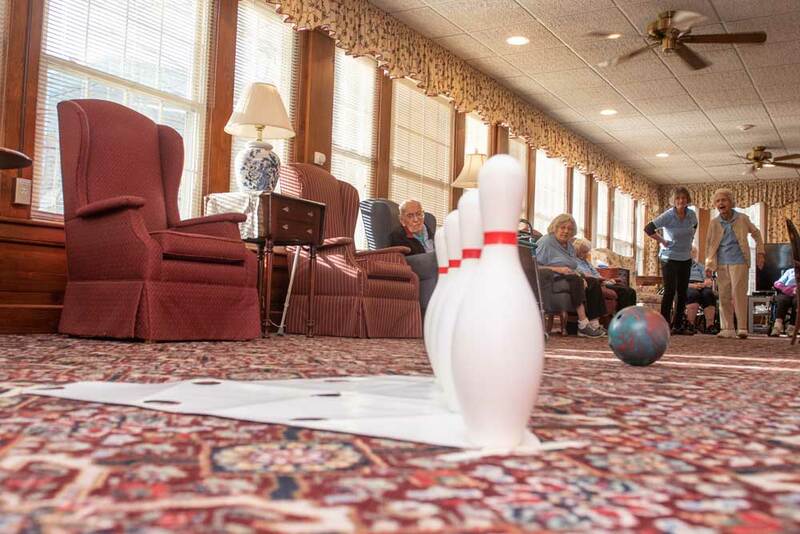 There are plenty of activities at The Doolittle Home to keep residents’ hands and minds busy and active. 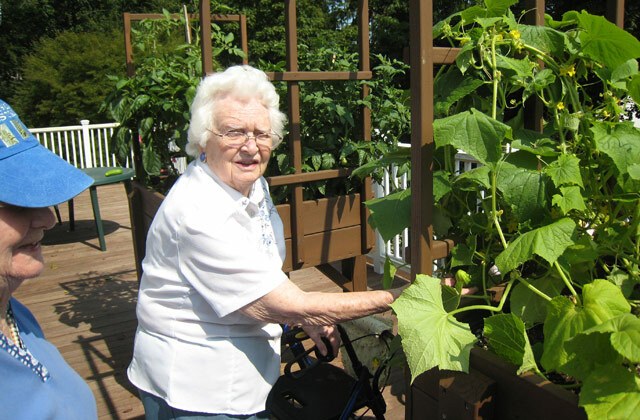 Exercise sessions are offered in the main house and in the nursing unit to help residents stay strong and agile. Bowling is such a popular activity that in addition to the bowling team, there is now an assisted bowling group for those who need a little extra help. Yoga, exercise and reiki are offered weekly to help with strength and balance. Sharp minds abound with competitive activities such as trivia contests, crafts and spelling bees. The residents enjoy guest musicians and a monthly poetry reading. Religious services are held in the home with a variety of local clergy offering services on a rotating basis to ensure that residents have exposure to the faith of their heritage. Our residents love having visitors to the Home. 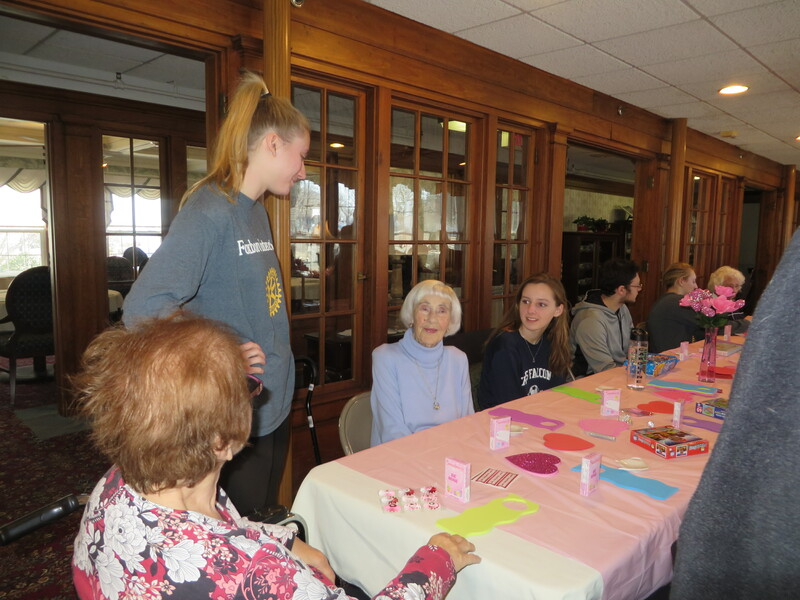 Doolittle is always a popular place to visit by groups of children from the local nursery school, Cub Scouts, Brownies, the local senior citizen singing group, church groups or the high school musical groups coming here to visit the residents and entertain them. Call 508-543-2694 to arrange a personal tour. Copyright Doolittle Home ©2019. Website developed & managed by Simple Wizardry.